Episode 9 - Nerd Books!!! 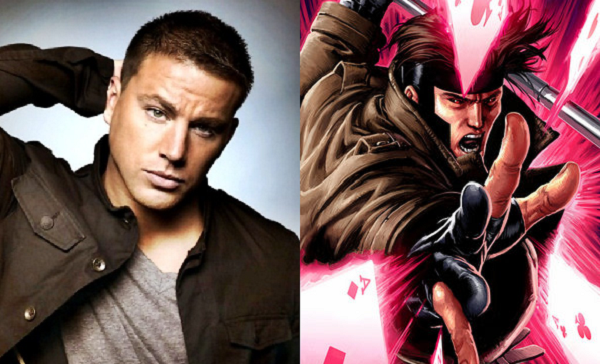 Channing Tatum Murders Gambit, H.R. Giger Has Grown More Powerful Than You Can Possibly Imagine, Wheel Of Time, Ender's Game and More!! Steve and Jarman return to tell you about some sad Nerdy News. We talk about the passing of H.R. Giger, (which I found out afterwards we were pronouncing his name wrong this whole episode), and the recent announcement that Channing Tatum will take on the role of Gambit for an upcoming X-Men movie. We then break out a new segment called Factoid Fumbles! This is where Steve throws out one thing, any one thing in the universe, and Jarman has to spout out one simple fact about it, no matter what it is. The results are ridiculous. In our feature, we tackle the world of literature for the first time, with Steve and Jarman talking about some of their favorite books, including Ender's Game, Wheel of Time, Ender's Shadow, Runelords, and Hitchhiker's Guide to the Galaxy! We then delve into some more Hypothetical Hubub, where we present some pretty zany hypothetical situations, posed by the author Chuck Klosterman. We're curious to hear what you guys and gals would do in those same situations. In trailer reviews this week, we cover the documentaries, Cyber Seniors and Code Black, along with post-apocalyptic The Rover.